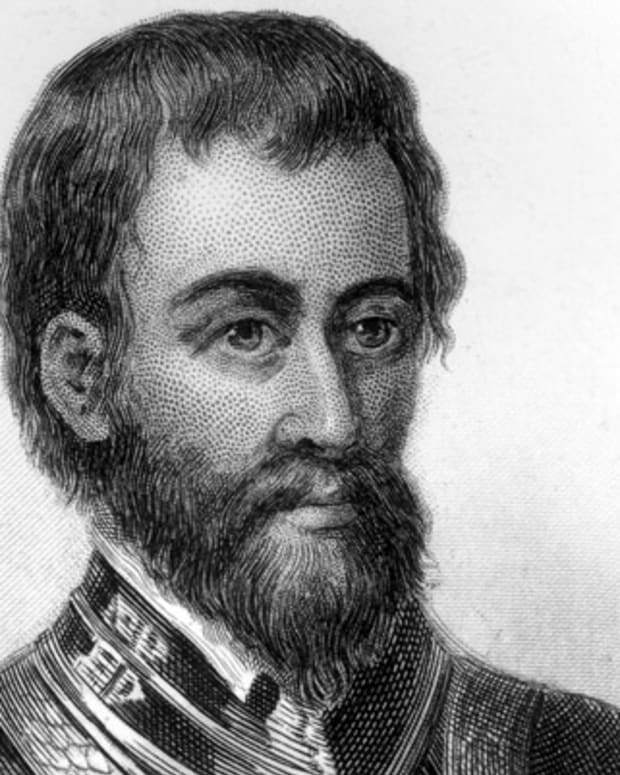 Norse explorer Leif Eriksson is credited with being the first European to reach North America. Born in the 10th century, Norse explorer Leif Eriksson was the second son of Erik the Red, who is credited with settling Greenland. 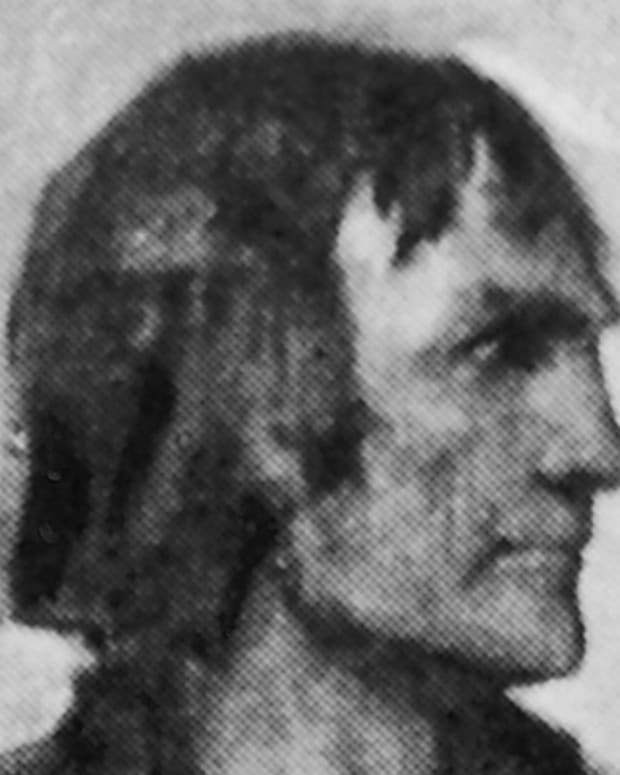 For his part, Eriksson is considered by many to be the first European to reach North America, centuries ahead of Christopher Columbus. 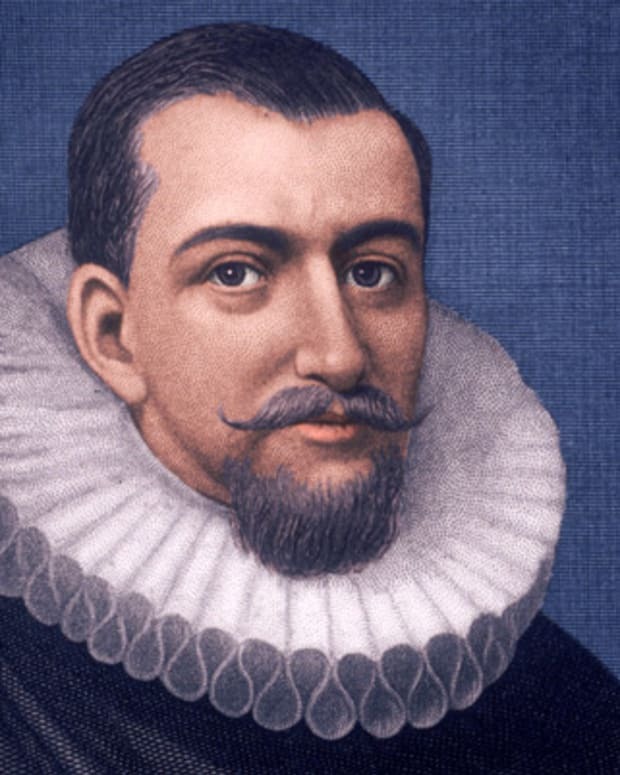 However, the details of his voyage are a matter of historical debate, with one version claiming his landing accidental and another that he had sailed there intentionally after learning of the region from earlier explorers. In either case, Eriksson eventually returned to Greenland, where he had been commissioned by Norwegian king Olaf I Tryggvason to spread Christianity and is believed to have died circa 1020. In the early 1960s, the discovery of the ruins of a Viking settlement in Newfoundland lent further weight to accounts of Eriksson’s voyage, and in 1964 the United States Congress authorized the president to proclaim each October 9 as Leif Eriksson Day. 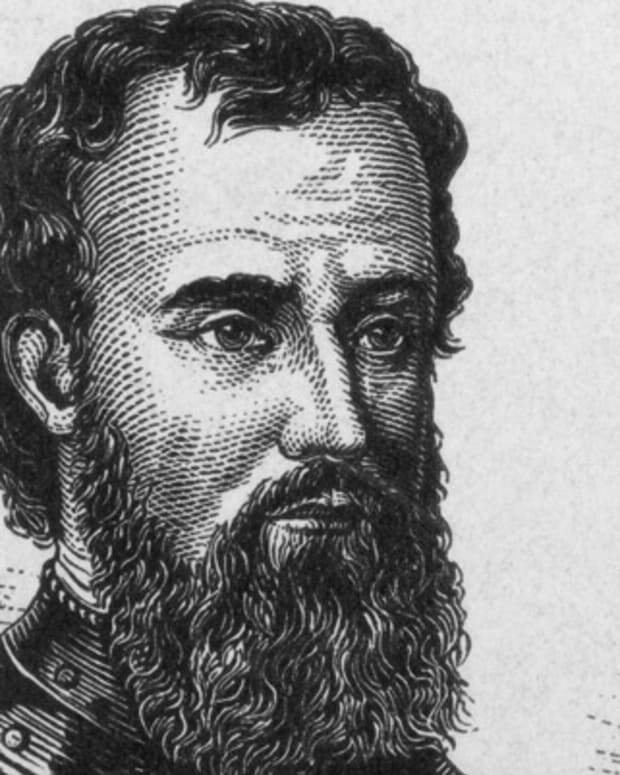 Although various accounts exist, the differences in their details often make it difficult to separate fact and legend when discussing the life or Norse explorer Leif Eriksson. 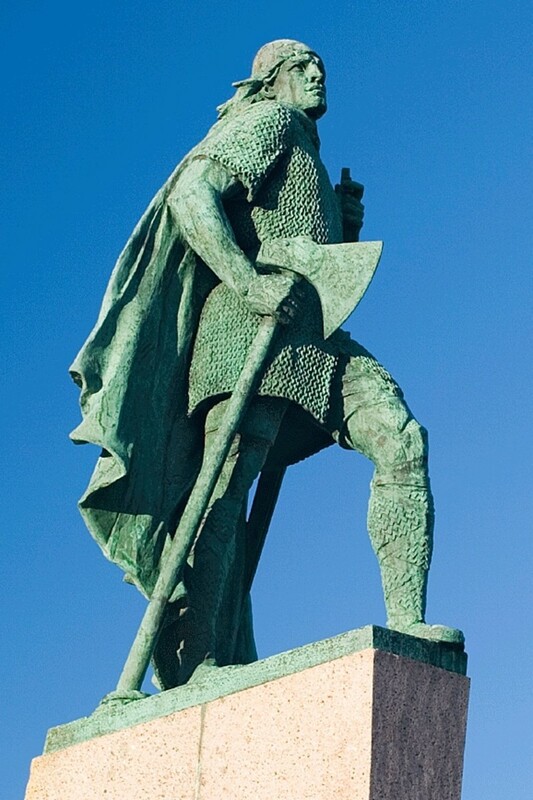 He is believed to have been born circa 960–970 A.D., the second of three sons of Erik the Red, who founded the first European settlement on what is now Greenland. As Erik the Red’s father had been banished from Norway and settled in Iceland, it is likely that Leif was born there and raised in Greenland. However, from here the facts become as diverse as the spelling of his name. By most accounts, around the year 1000, Eriksson sailed from Greenland to Norway where he served in the court of King Olaf I Tryggvason, who converted him from Norse paganism to Christianity. Soon thereafter, Olaf commissioned Eriksson to proselytize across Greenland and spread Christianity to the settlers there as well. Although Eriksson would eventually make it back to Greenland, it is the details and motives of his return route that are the subject of most debate. 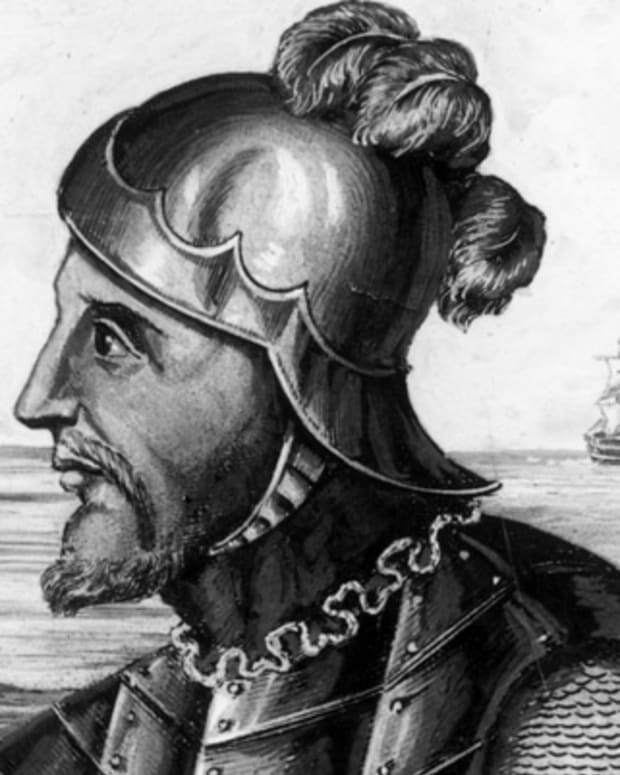 In the 13th-century Icelandic account The Saga of Erik the Red, Eriksson’s ships are said to have drifted off course on the return voyage home, finding dry ground at last on the North American continent. They are most likely to have disembarked in what is now Nova Scotia, which Eriksson named Vinland, perhaps in reference to the wild grapes that his landing party saw there. However, The Saga of the Greenlanders, which dates to the same era, suggests that Eriksson had heard already learned of “Vinland” from another seamen, Bjarni Herjólfsson, who had already been there more than a decade earlier, and that Eriksson sailed there on purpose, landing first in an icy region he named “Helluland” (believed now to be Baffin Island) and the heavily forested “Markland” (thought to be Labrador) before eventually making his way eventually to the more hospitable Vinland. 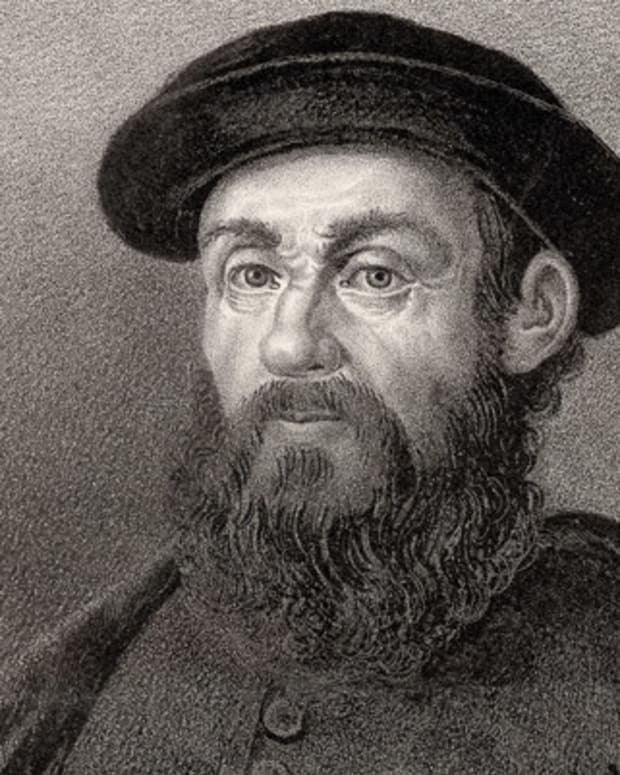 Whatever his motives, or the lack thereof, Eriksson is generally credited as the first European to set foot on the shores of North America, nearly five centuries before Christopher Columbus would arrive in 1492. But all suggest that Eriksson was most likely a member of an early Viking voyage to North America, if not, in fact, the leader of that first expedition. Despite his exploration, Eriksson would never colonize the region, nor did his brothers Thorvald Eriksson and Freydis Eiríksdóttir or Icelander Thorfinn Karlsefni, who visited Vinland after Eriksson. 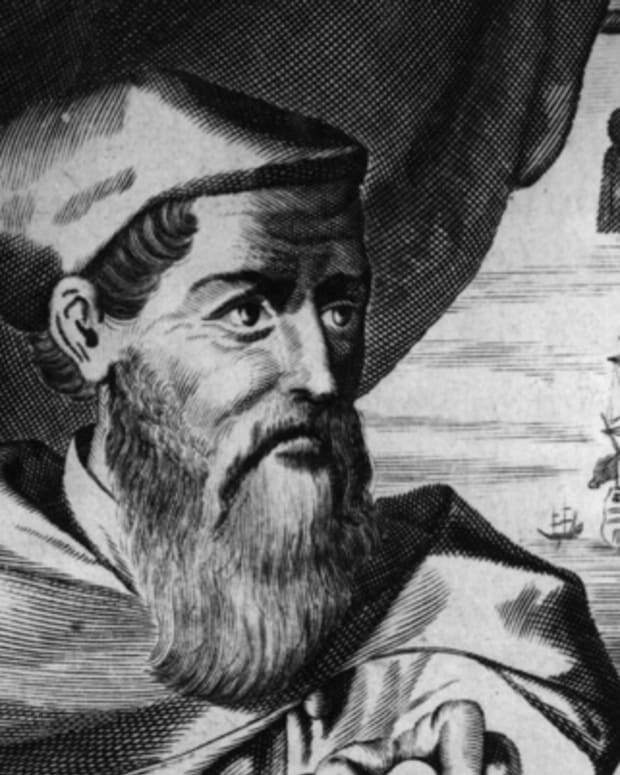 Returning to Greenland, Eriksson spent his efforts spreading Christianity. His mother, Thjodhild, became an early convert and built Greenland’s first Christian church, at Brattahlid, Erik the Red’s home in the east of the settlement. As for Eriksson, he is believed to have lived out his life in Greenland, dying somewhere around the year 1020. The exact location of Vinland is not known, but in 1963 ruins of an 11th-century Viking settlement were discovered at L’Anse-aux-Meadows in northern Newfoundland. Now labeled a UNESCO National Historic Site, it is the oldest European settlement to have been found in North America, and more than 2,000 Viking objects have been recovered from it, supporting accounts that Eriksson and his men wintered there before setting sail for home. 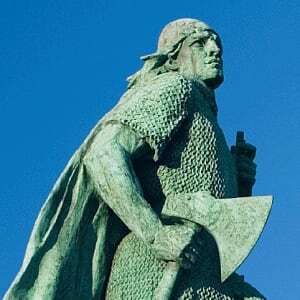 In recognition of Eriksson’s pioneering voyage, in September 1964 the United States Congress authorized the president of the United States to declare each October 9 as Leif Eriksson Day, a national day of observance. 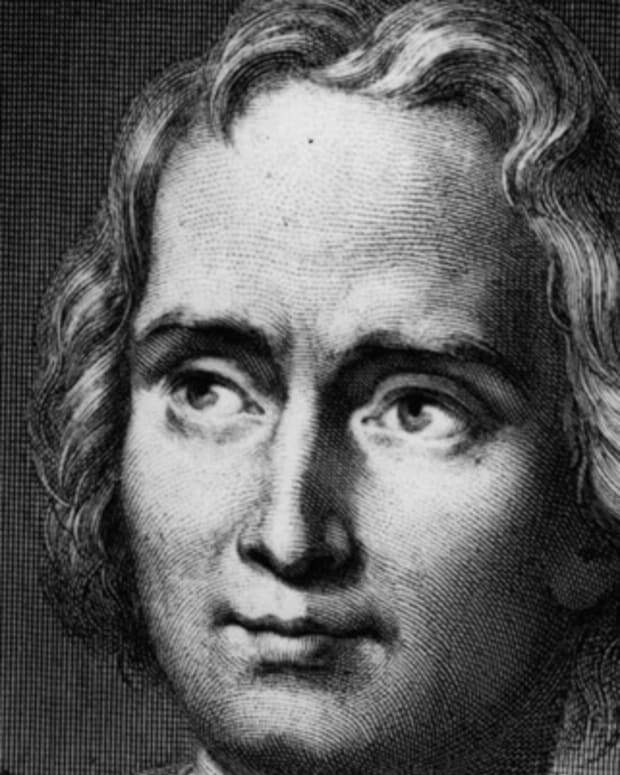 Over the years, various groups have attempted to elevate the celebration, but due in part to the fact that Christopher Columbus’s later voyage resulted more directly in European migration to North America, its status has remained unchanged. Despite this, Leif Eriksson’s voyage is commemorated by statues throughout the United States, and in Newfoundland, Norway, Iceland and Greenland, and Iceland’s Exploration Museum annually presents its Leif Eriksson Awards for achievements in the field of exploration. 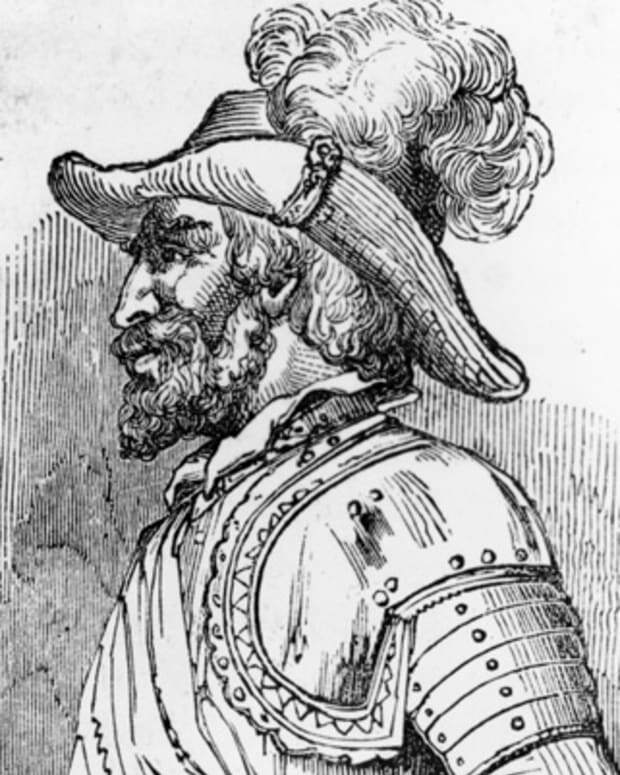 Portuguese explorer Bartolomeu Dias led the first European expedition round the Cape of Good Hope in 1488.